We feel incredibly lucky to have had the opportunity to build our home with Prull Custom Builders. From beginning to end, Will and his team made us feel at ease in a process that was completely new to us. We were impressed by their professionalism, attention to detail, workmanship and above all, patience. We are thrilled to be living in and enjoying our beautiful home! Thank you Will, James, Jaime and Jodi! My home is a renovated 100-year-old adobe dairy barn just outside of Santa Fe, NM. I chose Will Prull and company for the remodel of three rooms (bedroom, bath, and study) because I wanted excellent craftsmanship and work that would fit with the existing country-folk art look of the house. The entire area was gutted. All flooring was removed and they then came up with a way to level out three different uneven surfaces so that one step is all that’s required from the study to the other two rooms. Brilliant. The supervisor, entire crew, and subs were professional and respectful of my property and furnishings. They always had a smile and an answer for the inevitable surprises that come with renovating an old structure like this. They worked within budget and time frame initially discussed. I could not be happier. We were thrilled to have Prull build our house. Ours was a challenging lot and design, but Prull was able to solve problems and create a house that is a joy to live in. It’s been in several magazines and books since, which is really fun. Pete and I want to thank you so much for a job well done! We feel privileged to have the opportunity to work with you and have been assured by your character, your professionalism and your integrity. I’m certain that new construction has a myriad of its own challenges. But remodels are “up close and personal” and folks personal space and beloved homes are entrusted to you. We couldn’t have been in better hands! Thank you for our beautiful new kitchen! It has been a pleasure working with Prull Custom Builders. ;We have a quality crafted home that is beyond our expectations.Will Prull, our builder, has guided us through this process with his creativity and attention to detail.Will is not only talented in these domains, but also is a very ethical/honest person whose character is beyond reproach. When we decided to build a home in Santa Fe, we did our due diligence by interviewing 3 different builders in the area. After meeting with Will Prull, it was a no brainer. Being a builder myself in the Dallas area, it was easy for me to make this decision. Will is easy going, has a wonderful disposition, always listens to his client, is readily available to answer questions about the project and is a true gentleman in a not so gentleman like business. The process from start to finish was easy and most important came in on budget. Unlike many of the other builders in Santa Fe, Will Prull is a real custom home builder. You decide upon the style home and Will and his team can build it. I would highly recommend Will Prull for your dream home. Our recently completed project spanned three years and 8 million dollars, to re-purpose a historically significant building on Santa Fe’s Upper East Side. I am a seasoned developer and was the financial partner for my 36 year old daughter, who totally managed this as her first development project. I was involved with my daughter in interviewing and selecting the Consultants, architect, Contractor and other professionals. Prull won and so did we. The project was recognized last year by the Santa Fe Home builders in 3 of their best in class awards including one for best adaptive use. As architects, we toured multiple Parade of Homes in Santa Fe before picking our builder. The Prull brand is solid. They never rest on their successes, but are driven by the needs of each individual project and the ever-evolving developments of the industry. Will’s dedication to personal relationships and hands-on involvement is the signature on each Prull project. Will’s employees and subcontractors are talented, experienced and a pleasure to work with. An added bonus is that his wife Jodi is an executive partner in the office. It is without saying that we would recommend this exceptional organization. My experience with Prull Builders was top-notch. I put out my project for bid and selected Prull, with the help of my architect. All subs hired by Prull were solid people, people you wanted to have on your property, worked diligently and did great work. Same with the Prull personnel, a very good experience all around. This is the second home that Prull built for me and, for this house, we elected to go with Will’s company without taking other bids given the prior experience. Prull is focused on building high quality custom homes, keeping to schedules and budgets. Despite several changes, the project was completed on time and within our pricing expectations. Will is a pleasure to work with. Prull’s sub-contractors are among the best in the area. Follow-through with post-completion details has more than met our expectations, with some improvements added with little or no cost. 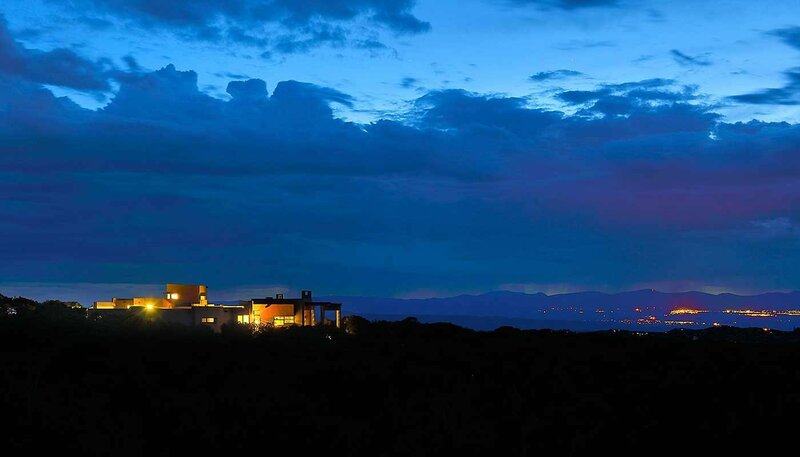 We began building our home in Santa Fe in 2010. We had long been working with an architect on the design, and coordinated the bid process through him. Our difficult building site and complex house layout called for a builder with an advanced skill set that included creativity, adaptability, and quality. Of the builders we interviewed and solicited bids from, Prull Custom Builders stood out. While picking a builder can be a “bet the farm” decision, we were not disappointed in our choice. Any new home construction is prone to surprises and stress, and ours was no exception. But throughout it all, Prull was on top of everything, taking the lead when necessary, and contributing as a cooperating team player throughout. Prull not only implemented our building plans, but they found many ways to make them better. They presented a combination of quality, professionalism, and integrity that earned our trust and confidence that we were in good hands. We were, and remain, thrilled with our home. And in the years since we moved in, Prull Custom Builders has been an on-going partner, helping us to make the most of what we have jointly created. We can recommend Prull Custom Builders without hesitation. Judith and I selected Prull because they had won the “contractor of the year” award for several years before we contracted for a major remodeling with them, we were invited to Prull’s Christmas party, with all of their recent clients. I was amazed that any contractor could put all of his clients together and create a joyous environment. It was a good omen for our relationship. As our work began, our project manager was attentive to our wishes, intelligent in dealing with issues that inevitably arise in remodeling and committed to our schedule. Prull stood behind their work and did not depart until we were satisfied that the job was completed. Today, two years later, we would give Prull our highest recommendation. After researching several builders in Santa Fe and then interviewing the ones of interest, we decided on Will Prull as he seemed to instantly connect to what we wanted and how to achieve it. He was also highly recommended by our architect. Our Project Manager was excellent and helped us make decisions that creep up between the plans and the actual building. Our house won the AIA award in 2016 for Santa Fe. When choosing your builder, the most important thing is that your Project Manager understands your direction and has your best interests at heart. We hired Prull Custom Builders to build our home in Santa Fe. Our project went excellently from design to finish. We found Prull Custom Builders to be very technically proficient, very skilled communicators, dedicated to high quality, and they truly stand behind their product. When our home was four years old we developed some problems with our windows. Will Prull got immediately involved and worked directly with the window manufacturer to ensure that our problem was corrected to like new condition. We have been very pleased with all aspects of our association with Prull Custom Builders and look forward to having them build us another home soon!! We hired Prull Builders to remodel and enlarge our very small kitchen. We lived in our house during the remodeling process. From our initial consultations with Will Prull, through to the end result, we were very pleased. The work was professional. The subcontractors were pleasant, helpful, and respectful. We did most of the designing ourselves, but they delivered miracles when it came to extending walls and dealing with the construction part of the job. They worked with us and made sure we were on track with materials and timing. Our supervisor was always organized and on top of daily work being done. His calm and pleasant demeanor was wonderful. The billing was efficient and easy to understand. I will commend them for a great effort at always trying to keep the mess down and cleaning really well, since we were living in the house. We asked several colleagues who they’d recommend for a quality builder in Santa Fe, one who’d help us deliver a LEED Platinum home project. All pointed us toward Prull Custom Builders, and our high expectations were met, on a challenging project with many unique features. As a Preferred Builder in our Las Campanas Realty Builder Program, Prull Custom Builders have always shown extreme professionalism in all aspects, perfection in their construction, and always makes the building process for their clients easy and exciting from beginning to end. Their award winning homes are truly works of art! Prull Custom Builders’ outstanding expertise places them among the finest builders in the Santa Fe area. Paul Rau Interiors has specified interior finishes and furnishings on multiple projects, working closely with them on a daily basis over the past 6 years. Will Prull and Jody Vevoda are a strong team with an expansive vision for helping their clients realize their dream homes. Prull Custom Builders also employs a gifted team of builders with extensive expertise and skills. We have had the pleasure to work with the entire team. Last year, we were fortunate to be part of the winning team with Prull Custom Builders for the 2018 Grand Hacienda Award from the Santa Fe Parade of Homes. The winning home in Las Estancias was exciting because we had the opportunity to create a great number of custom designs and were pleased with the way Prull Custom Builders helped us realize these designs. An example of this was the master bathroom shower wall, which took great expertise to engineer. After years of collaborating on multiple homes, we look forward to working on current and future projects with Prull Custom Builders. We can count on Prull to realize even our most complex visions, as they are able to handle more ambitious projects. They consistently build beautifully crafted and well-executed homes for their clients, both traditional and contemporary. Paul Rau Interiors is happy to collaborate and partner with Prull Custom Builders. As an architectural & interior photographer for over 25 years, I’ve had the pleasure and honor to work with some of the best custom building professionals in the world, at the top of their fields. I can say, without hesitation, that Prull Custom Builders, build some the finest and most cutting edge homes I’ve photographed anywhere in the US and abroad. Their attention to detail and craftsmanship, as well as their unparalleled professionalism & integrity, in all aspects of their business, put them head and shoulders above the competition. We have collaborated on many projects, and we have been privileged together to have been published in many national magazine spreads and covers, an acknowledgement of the exceptional work & reputation they command. I highly recommend their expertise to anyone seeking the best. ClearOvations has had the extreme pleasure of teaming with Prull Custom Builders on a significant number of new construction projects over the last two years. They have afforded us the opportunity to push our personal, our dealership’s and our represented product’s capabilities, while maintaining a very positive affiliation. Will and Jodi’s rapport with their clients, Architects and suppliers speaks to their experience, professionalism and commitment to a successful project. Prull’s Project Managers have proven to bring varied backgrounds and craftsman skills that make the completion of each project a ‘piece of art’ rather than just someone’s home. We look forward to be favored with additional opportunities with Prull Custom Builders. As a supplier and specifier of decorative plumbing, hardware, accessories and water treatment, I have the opportunity to work with many professional entities, their clients and staff from product selection and budgeting through specifications, delivery and follow-up. One can tell a lot about company culture and organization from where I sit. Without exception, Prull Custom Builder’s clients are pleased with the professionalism and attention afforded them through their collaboration with Will and Jodi and their team. Their experienced, attentive and personable field superintendents exhibit exemplary management and communication skills. The project management and accounting team is accessible and responsive. All this adds up to the intended outcome: houses that are consistently outstanding works of cutting edge design and craftsmanship forged through a partnership of wonderful clients, excellent architects and designers and a builder that brings it all together. Strongly consider engaging Prull Custom Builders for your next project. I have been a appliance installer and delivery driver in the greater Santa Fe Area for over 5 years. As we all know, the construction industry can be a bit disjointed and uncoordinated. It is my pleasure to write you today to say that for my time in the industry, Prull and Associates have always coordinated in a timely and realistic fashion in regards to all of there appliance deliveries. I am yet to show up on a job site where I spend more time trying to find the foreman, get trucks moved, and explain to everyone involved what I am doing on the job-site in the first place. Better yet, when I do arrive, the cabinets are in place, the floor is finished, and the appliances are the last thing coming into the house, the general rule of thumb for appliances. On a more specific note, Mike Weisberg has always been a breath of fresh air when I arrive on site. He is attentive, delegating, and an obvious asset to the company. Most people hear rave reviews from content home owners, but rarely are there “behind-the-scenes” reviews by those of us who supply all that is needed to complete these jobs. I wanted to take this moment to clarify that people are content on both the finished product and the process leading up to completion. Collaborating with Prull Custom Builders over many years and dozens of projects has been a great experience. The Prull team exemplifies the art and craft of building exceptional homes. Their attention to detail, understanding client needs, and the care they take with all of their business relationships makes working with them a true pleasure. Wood Design, Inc has worked with Prull Custom Builders for the last 20 years. Our collaborations have resulted in many amazing residences in that time. Wood Design, Inc. builds custom cabinetry, interior doors and furniture for many of Prull Custom Builders homes. Our relationship with Prull Custom builders is excellent. Prull Custom Builders is a fantastic group of very talented people all striving to create our clients dream homes. William Prull and Jodi Vevoda are a dynamic team leading a great team of talented builders and we are very proud to be associated with them. Wood Design, Inc. specializes in building our products to meet our clients dreams. Everything we create is designed and built according to our clients specifications meaning that everything we do is completely customized. We have no ‘standard’ cabinets. If you can dream it, we can build it. Of course with 20 years of experience we also help suggest the best and most unique materials for each project so that the true custom nature of what we do is tailored to each client. It has been a true pleasure to be part of the Prull Custom Builder team for so long. We look forward to many years of new collaborations in the future. I have had the pleasure of working with the team of Prull Custom Builders for the last five years. We have done over ten projects which were large historic remodels and multiple single family homes. My relationship with Will actually had begun years before we started working together when in an informal discussion we found lots of common ground. We vowed to work together and we have with great results. Will and his team at Prull Custom Builders are extremely knowledgeable in construction means and methods, exhibit complete care about the final results and the finished product is always top notch. I have and continue to work with many contractors and Prull Custom Builders are at the top of my list. I couldn’t recommend them more highly. Prull Custom Builders have long been known as one of the exceptional general contractors in Santa Fe and my collaborations with them have proven that to be the case. Their team provides the highest level of customer service and they care deeply about ethically serving their clients. Prull Custom Builders provide excellent services and are attentive to every detail. We are an interior design firm that has worked closely with Prull Custom Builders and appreciate their standard of excellence, adhering to timelines and budget and doing whatever it takes to produce an outstanding home for their clients. Prull and I have now completed over a dozen projects together. As an architect it is a pleasure to work with a contractor that is professional, pro-active and thoughtful in their approach to the business. There is always a team approach to a project and that means success for the owner. The design is meticulously carried out with excellent craftsmanship. Always a pleasure to have Will and company on board. We have found Prull Custom Builders to be a top-shelf partner for construction projects. They are easy to work with and extremely responsive. They care greatly about their clients, and are very conscientious of their budgets and their comfort level during the entire process. They are collaborative and have a hands-on team who bring skill and open minds to the table. I am always thrilled to work with the Prull team. Their entire crew is wonderful and a delight to collaborate with, and every individual shines. They are in constant communication with clients to ensure all their needs are met, and clients truly appreciate having a point person to contact with any concerns. I enjoy being a part of their vision from the beginning — it’s clear they have their client’s best interest in mind and are all about customer satisfaction. This company operates with 100% integrity and I highly recommend them. I had the privilege to work with Will Prull and Jodi Vevoda. It was a fantastic experience with close collaboration and feedback. The end result far exceeded all our expectations. Looking forward to many more projects with the Prull team in the future!